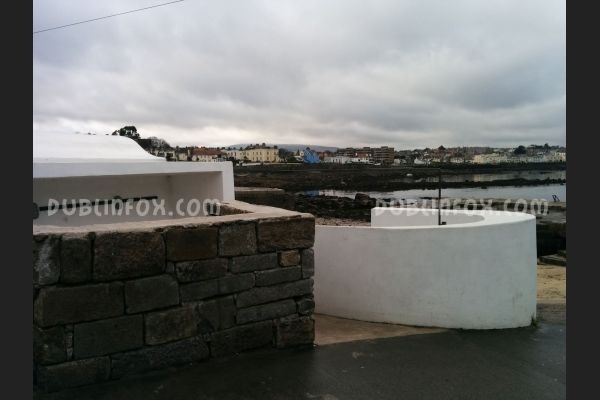 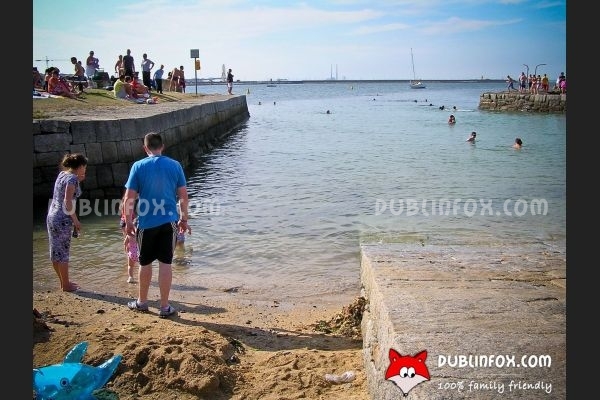 Sandycove beach is a tiny little beach close to James Joyce Tower and Museum. 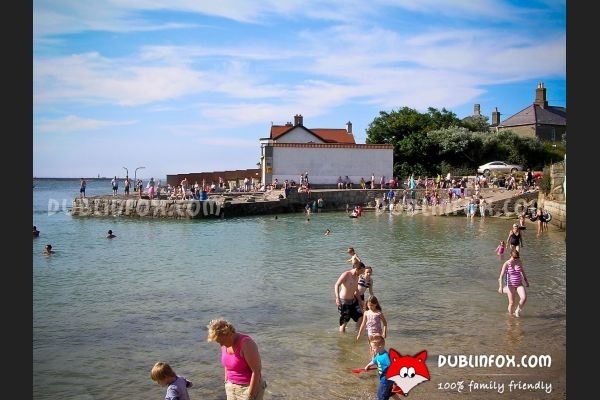 It is very popular with young families, as it offers a bit of sand to build sand castles, shallow water to paddle and gorgeous views to admire. 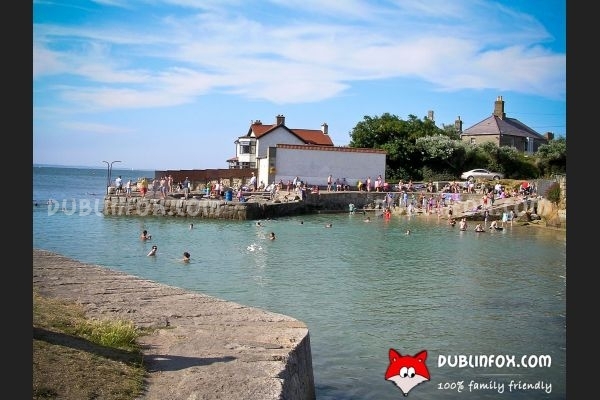 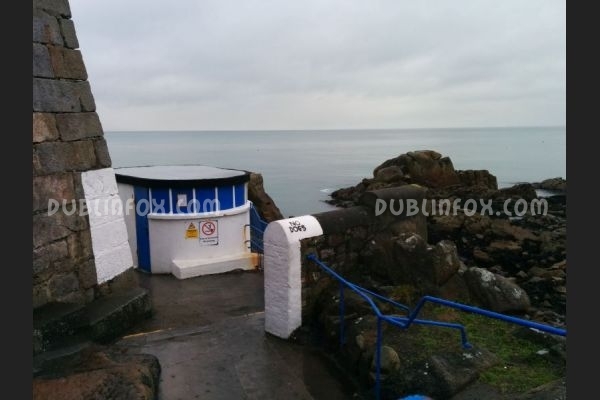 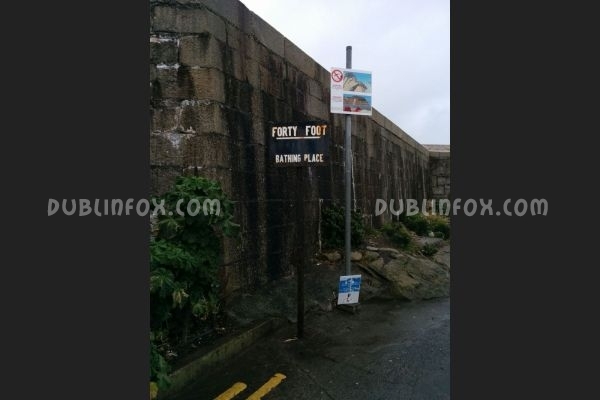 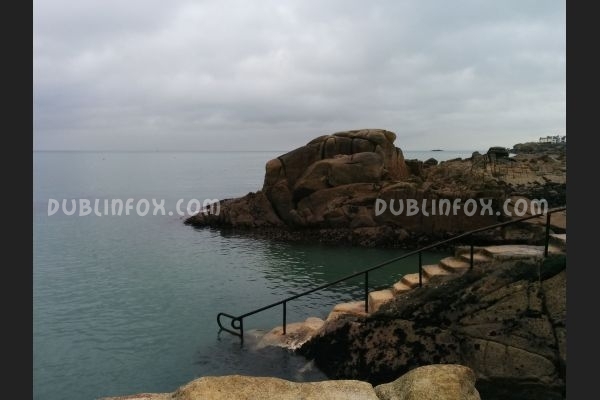 At the back, you can find the famous Forty Foot, the traditional Irish bathing place, where - if you are brave and tough enough - you can have a dip all year round. 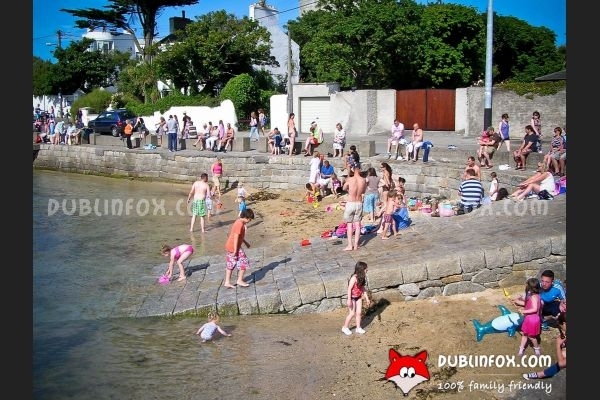 Unfortunately parking is a nightmare near the beach, on a sunny day you have to leave your car quite far and approach the place on foot. 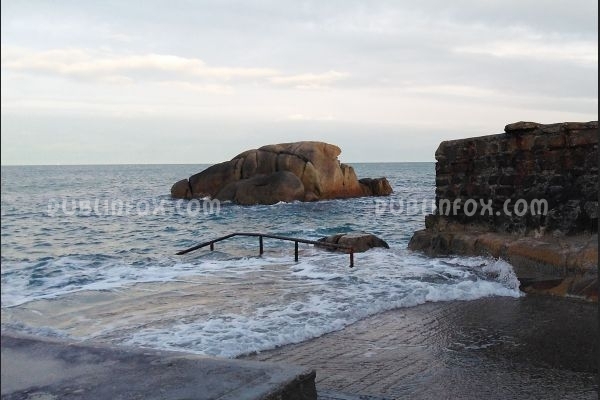 Sandycove Beach - The Forty Foot?